Not a whole lot of information in the email… what kind of struggling? They aren’t responding to your calls or emails? Or, you don’t know how to approach them in the first place? Or, you actually get to have meetings with them but then nothing happens from there? When I started my job search 12 years ago I learned that networking was the way to go and applying online was a waste of time. So, I tried to figure out how to network. The problem was that, as an introvert and a technologist, I’d much rather sit at home and “do my job search” efficiently than take hours and hours out of my day and routine to go to a network event, or meet someone at a restaurant. The “hours and hours” came from drive time, getting ready time, and arriving early and/or staying late. Did I mention introvert? The whole process could be exhausting, with a healthy dose of concern about whether this would be a fruitful meeting or if people would just think I was an idiot (second guessing myself has been one of my top skills). Sitting in front of a computer was much easier, much more comfortable, and seemed a lot more productive. But everyone knew, and said, that you had to network. What if it just wasn’t working? Maybe, I figured, it wasn’t that networking wasn’t working, but that I wasn’t understanding it and doing it right. The turning point in my networking journey came when I read Never Eat Alone. I can’t recommend that book enough. This was THE book that changed my mindset on networking. It wasn’t something to do so I could benefit, rather it was something to do so everyone could benefit. I went into networking opportunities with a completely different attitude and goals. It had now become fun and exciting. Instead of getting to network events late and skipping out early, I was anxious to be one of the first ones there and one of the last to leave. I remember one conversation where I pretty much had a job offer in the bag, and at a networking event told this guy about it and said he should interview, because he was definitely a better candidate than I was. He got the job, and I got immense satisfaction knowing that I had a small part in that. Seriously, it was thrilling to give that away to him. I started at: What can I get? I’m in this for me… and this is why a lot of networking feels sleezy. Then, I transitioned to: What can I give you? This is a question you’ll hear from networkers, and it shows they are helpful, and ready to invest some capital into the networking bank… maybe hoping to draw on it later. Nothing wrong with being here. But then, something magical happened when I didn’t ask that question, and didn’t wait for them to know what they wanted (heck, I didn’t know what I… why expect everyone else to know? ): “I heard you say this… you need to talk to my friend, I’ll do the introduction today.” This goes into really listening and caring, and then opening up your network (risking, to a degree, your own reputation) and proactively making an introduction. #3 is why I was so excited to go to network meetings. I couldn’t wait to connect people, and really, really help them. This went way beyond the superficial smile and handshake and “we should do lunch” (the lunch that never happens). This was meaningful, and it was fun. Along the way my relationships with individuals grew and strengthened, my reach expanded, and I was fulfilled. It was AWESOME. In summary, to a very vague question I give you two suggestions: First, get Never Eat Alone. I hope you absorb it the way I did. Second, transition from a “what can I get” goal/attitude to a “I’m going to give something to you today… not sure what, but I’m listening for where I can add value, and will give it” attitude. This gamifies networking, makes it fun, and puts you in a much different position. Have a more specific networking question? I’m all ears. Leave a comment or email me. Ask the Coach #5: How to Network in a New Area? This is part of a continuing series called Ask the Coaches, where YOU pose a question that I send to dozens of career experts, and they give their awesome responses. IF YOU ARE A CAREER EXPERT and want to be on the list, email me (contact link at bottom of any page). I am struggling with networking. If you are in a new area, what is the best approach to making new contacts? Join a job seeking group–they pop up in different forms but the best and easiest way to find one is to check in with your local One-Stop Career Center (www.servicelocator.org) and they should be able to point you in the right direction to one. Other entities to check out are local churches, veterans associations and experience Experience Unlimited and MeetUp.com to name a few. You will meet other professionals, and get on their radar for opportunities that might not be a fit for them but perfect for you. It also helps to know you are not alone–and to be a support to others on this journey. Join and/or attend association or industry events to increase your visibility and to get to know what is happening in your new town. You don’t need to say you are “unemployed”, but that you are “working on some projects” (sure it may be yourself) and that you are looking at (not for) new opportunities in the area. The idea is that you are always in charge of your job search and that everything is a possibility (not a need, want, desire). Volunteer somewhere. It doesn’t have to be in your industry, but it will help to get you involved in the community and away from the computer and outside of your head. Serving others less fortunate than you is the best way to get you into a positive mindset and with an attitude of gratitude. If you can find somewhere that can utilize your unique skills sets, even better! Just don’t get yourself so busy, that you don’t have time to look for a job! If it starts to feel like too much–ease up and pick and choose what events will give you the best return on your time. It’s ok to take a break and go back to what you started or try something completely different–just as long as you are getting yourself out there meeting people. Remember, the goal is to expand your network and to make important connections along the way. I am not sure if you are looking for a new job in your new city or you simply want to meet others but either way, the process is the same. First, start by reaching out to newcomer’s groups in your area. Second, via meetup.com, join groups you are interested in. Third, become a member of the professional associations in your industry. Fourth, going to church on Sunday, not only helps the spririt but it is a great way to meet others. Fifth, volunteer either at your church or pick a nonprofit you feel strongly about. But remember true networking is about meeting one person at a time, so be intentional about getting to know others. Wishing you the very best in your new career! Excellent timing for this question – networking has been on my mind a lot this week! Before sharing some ideas, I think it’s extremely important to first mention what networking is NOT. Networking is not about the number of people in your contact list. Networking is not being fake. Networking is not about being an extrovert. Start with the people in your life who already know and trust you. You never know whose uncle’s cousin’s sister in law lives in your city or is knowledgeable about your field. Join affinity groups through meetup.org or your local chamber of commerce. These don’t have to be in your career area – they could also be for a hobby or interest! Several of my friends have built new networks through the World Adult Kickball Association. If you’re someone who isn’t at your best in in-person situations; use the phone! In an age where so many of us are bound to email, a call can be refreshing and a nice middle ground for people who prefer to network from home. Engage your “nag” – find that overly honest person in your life who pushes you to do the things you don’t want to. There is nothing a nag wants to hear more than “I need your help.” Schedule a weekly call with them about who you met since your last conversation. Find the local chapter of your professional association. When I first moved back to North Carolina, the people at the NC Association of Colleges and Employers quickly became my second family! Focus on your successes no matter how small. A case of the ‘shoulds’ coupled with negative self talk lead to spending the evening on the couch (not networking). Take a class at your local university. I love the forums on city-data.com. Every city has their own unique culture and learning from the locals is a great way to find places to network. Volunteer. Idealist.org, volunteermatch.org, or even your local non-profit association can help you find places to help yourself while you’re helping someone else. Leverage the power of LinkedIn, whether it is a new area in terms of location or in terms of industry sector you are looking to move into. LinkedIn is like attending a big networking event with more than 400 million users, it’s the largest professional social network. With the various functions, it’s a great tool to find companies, people, and jobs in any location and industry. You can reach out and connect, start conversations, network and build up new contacts. There are also various groups you can join which is another great way to join new communities and expand your network. Around 99% of people fail to optimize their profile and aren’t using LinkedIn to their advantage so be in the 1% and have a profile that really stands out and then your ability to connect and network gets a whole lot easier. Also, it’s important when you reach out you send an introduction with the connect message giving a bit of detail about why you want to connect. Part of the work I do as a career strategist, coach and mentor is to help people to stand out and shine with their LinkedIn profile as well as understanding how to use it to its full potential to develop their personal brand, grow their network and increase their career opportunities. LinkedIn is for your career life, not just a new job. Determine your goal for networking. This impacts the type of groups you will explore and join. If your networking goal is for job search, you’ll want to explore area job search groups. Additionally, I recommend joining a local chapter of your professional association. For example, PRSA if you’re in PR; ATD, if you’re in training and development; ASQ if you’re in quality management, and so on. Check out LinkedIn’s “groups” tab to see if there are relevant groups for your networking goals in your area. 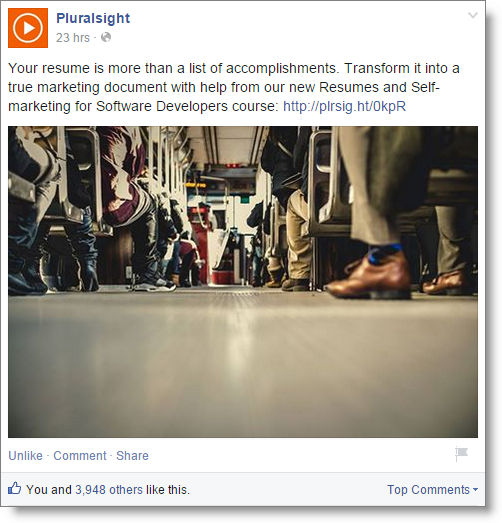 Update your LinkedIn profile with a current professional photo, summary, and experience. This way, when you’re exploring connections and groups, people can easily associate your name with a face. Check out the local Chamber of Commerce. Typically, they’ll have Business After 5 or other networking events you can attend. One of my clients who’d recently relocated had no local network. She volunteered for her Chamber of Commerce and updated their website. She had a master’s degree in information technology. The chamber wrote a press release about it, highlighting her expertise. She was introduced to several business leaders in the area and was hired by one of them to run their IT department. Volunteer for a cause you believe in. If you have a tight budget and are unemployed, one thing you do have is time. Volunteering demonstrates your leadership skills, you’ll meet people interested in the same cause as you, and often business leaders are involved in those efforts. This gives you a chance to talk about something you enjoy and are passionate about, which makes networking easy and natural. Finally, don’t forget your new neighbors, friends and family who may have connections in your area, local sports events, farmers markets, and more. When you have your polished sound bite, it’s much easier to start a conversation with those you meet. These tips will help you get started. I recommend making a networking plan to make regular progress toward your goals and positive connections with your local market. You got this! Kathy, this is a great question and one I’m often asked to respond to. Ask anyone in career services (and in sales as well) and we will all agree the single most important component of success is making and staying in contact with people you know and those you want to know, both in and outside your current or desired field or profession. This is why I am a proponent of reaching out to make a minimum of three contacts a day. Imagine this – 3×30 = 90 people you reach out to every month and 3×365 = 1095 people you now have in your network in the course of one year. This is what serious and successful networkers do! This said, networking in a new city is more challenging and requires additional effort to yield tangible results. In addition to standard Networking 101 techniques, you will need to consider more unconventional and perhaps less comfortable than you prefer measures. At the outset, you’ll also need to make a modest financial investment in yourself, if you have not already done so. The first investment is to create a catchy business card to hand out to the people you’ll meet to remember you and know how to contact you. I use and recommend Vistasprint, a low cost high quality option. The second investment is, I recommend a low cost or free website and/or blog (check out Wix.com and WordPress). Here you can showcase your resume and bona fides, and have a URL on your business card along with your fully optimized LinkedIn profile page URL so people can check you out, follow you, connect with you, and refer you to others. Now, here are networking suggestions in a new city and they work in your hometown as well. Step out of your comfort zone. For many this means being less timid and much more sociable. Go to a sports bar for Saturday College football and Sunday and Monday night pro football (or whatever sport you enjoy or is in season) and start a conversation with the people around you rather than sitting like a wallflower and waiting to be approached by others. You can also go to a movie, a concert or the theater, a museum or a lecture by your lonesome and strike up a conversation with the people you meet on line and at the event. You never know what will happen—or whom you will meet—when you step outside of your comfort zone. Take up or continue a hobby. Find those things you want to do but your pocketbook or inner voice often says Nah. For example, join a business district or local gym or health club. Take a Yoga, Spin or kickboxing class. Join a flag football or softball league. Try a new restaurant or bar in the business district. Whatever you do, steel your nerves and walk into a room or place full of new people. Go on Dates. For those who are single, going on dates is a great way to meet new people—even if you don’t hit it off romantically, you could strike up a friendship. If you’re male, ask a woman out and don’t stop asking if you’re rejected. Women, you too can ask a man out. So get out of your comfort zone, take a flyer, and accept an offer or ask out a nice guy or gal, even if he or she is not someone you’d ideally choose. Be up front and say “I’m new to this city and I’d like to get to know you and your friends.” If you’re seeing, someone expand your horizons and get creative: Branch out from your neighborhood and go places where there are crowds. When on line at a movie, ballgame, or anywhere you go strike up a conversation with the people around you and let you partner know why are so friendly to strangers. Volunteer: So many causes you can support need your help where you can spend time doing something you’re passionate about. Try to keep it close to your field of work if possible. Political clubs are also a good place to volunteer and network and meet influential people in a new city. Seek out fellow alumni and former co-workers. Search fellow college and even HS alumni on LinkedIn. Then reach out and connect with them, tell them what your connection is and you want to speak with them. If they listed a phone number, take the initiative and give them a call. The same for fellow coworkers who may be in your new city or have contacts on LinkedIn who live where you are now living. Take chances and say YES: If you get invited to places or events, where there are a lot of people that are not in your wheelhouse or comfort zone say YES. This may be an invite to go bowling, dancing or skiing, to go to a lecture or attend a C&W, Rock or Classical music concert to name a few. In other words, make it your policy to socially say YES rather than to always say No or giving an excuse. Sign up and attend classes: Continuing education in your field or something related (or even in something that interests you) is a great place and way to meet likeminded people who you can easily start a conversation with. They are also likely to have a network of people you can tap into. Join Toastmasters: This has a double benefit. Aside from meeting career minded people who are out to advance their career, you will have an opportunity to improve your public speaking ability and hone your business persona. Check out Meetup in your new locale. This allows you to meet people in different walks of life who share common interests with you. Take a chance and get involved, after a while, you will meet some great and helpful people. Join your local area LinkedIn group and professional associations. The members of these groups are people you could and should be reaching out to, and most sponsor networking events you can and should attend. Faith Based Networking. For some this is a first and natural step in networking in a new city. For those who are unaffiliated, lapsed religiously, agnostic or atheists this can be uncomfortable. However most houses of worship and faith based organizations have tremendous resources they are willing to share with newcomers in a city and they can be exceedingly helpful in picking you up when you feel alone, down, lost, home sick or hopeless. Kathy, one of the best approaches to making new connections is to join a group or volunteer to work where you have common interests and are passionate about a cause. If you have interests in some type of sport, exercise, are a music lover or an avid reader of books or bird watcher, there are likely to be groups of people in your area with the same interest (s) that you have. Many of these groups meet on a regular basis in your area. You are in luck if you are on Facebook. There is an “Events” tab that appears under the “more” tab on your home page. Check this out because by clicking on this tab, you will find a list of events that are happening in your area that may be of interest to you. I found Fall Festival train rides to watch the Fall Foliage in October, a few jazz events, a tour of vintage homes, a few plays at local theatres and book clubs…all in my local area. And, the best part is that it lists my Facebook friends who are planning to attend. Once you attend one of these events or contact the leader of the group, the networking becomes easier. Not on Facebook, try your local newspaper. There are always listings of what’s happening in your new area. If possible, bring a neighbor or co-worker with you. If you are in a career transition, perhaps there is a local Five O’clock Club meeting that you can attend. Simply “Google” the name and view their website and attend a meeting. The key is to attend these events and making those connections. Don’t forget to connect with everyone you meet on LinkedIn and your number of connections will increase greatly! All the best and happy networking! I was in this exact situation when I moved from the East Coast to the West Coast. So I know what it’s like to have to make contacts in the new location. Now one thing I had done is this. Once I knew where I planned on moving, I took an extended vacation to visit and stay in the new location for a while. And while there, I had worked with some local temp agencies to gain some employment. This helped put me in contact with companies in the new area. And gave me an opportunity to meet some people there. So I was able to gain some local work experience ahead of my move. Another thing one can do when they have relocated is join local groups. For example, there may be a local networking group for job seekers in your particular field or just in general. This is a nice way to interact with people in the local community who may be able to throw you some leads. And/or introduce you to others who may be able to help out. You can also use a local religious house of worship. So becoming part of a local congregation will also help put you in contact with locals in that area. And allow you to let them know you’re seeking employment. They might know somebody who can help. Or take your resume and pass it along where they happen to work. One more way to network is visiting the local unemployment office. Depending upon the area, there may be more than one. That’s the case where I live. Other places just have a single office. Either way, it gives you a chance to interact with some local job seekers. And you can meet with a local counselor there to look over your resume, do a mock interview, and help you with companies in the area. It’s also pretty common for unemployment offices to host local events. So they may have one or more employers coming into the office to meet with potential new hires. Picking up a calendar of events will let you know what’s upcoming. And there may be postings of upcoming job events posted in the office. Visiting a local park or other public place is another networking opportunity.. For example, you may be sitting on a park bench next to somebody and strike up a conversation. That gives you the chance to let them know you’re new to the area and are looking for employment. The same goes for visiting local coffeehouse or juice bar. It’s very common to meet new people in warm and comfortable settings like this. So it’s easy enough to converse with others who might be able to help. Or may take your resume and pass it along to where they work or somebody they know. FYI, it’s pretty common for recruiters and hiring managers to meet with people in this kind of place. And work on going through applications and resumes. I’ve seen this many times at various coffeehouses in my area. And have struck up conversations with those people. The bottom line here is this. Look to places where there are lots of people around with whom you can strike up conversations. And where it’s more relaxed so people are more willing to open up and meet new people. Also take advantage of the local unemployment office and library for upcoming job-related events. And hit the local employment agencies for some work, even if it’s temporary. Lastly, make sure you are always armed with your resume! So keep a stack with you to hand out at a moments notice. I find that the very word “networking” tends to bring out nerves and apprehension among most job seekers. My first suggestion is to throw the word “networking” out and look at it as relationship-building, and then approach it as you would any new relationship. Also, since you’re in a new area, it’s a great opportunity to do double-duty: you’ll likely want to check out the “hot spots” in your new locale, get a feel for the local culture and vibe, and discover activities that fuel your interests…and you can meet people who can become new companions and also serve as professional connections. You may want to join a local club, take a fitness class, or sign up for a “sip and paint” event! The main thing is that you select activities that you are interested in and that allow for conversation– and make it a point to say hello and introduce yourself to people! When the pressure to network for a job (or to advance your career) is off, you’ll be able to relax, enjoy yourself, and present the “real you”! These conversations will naturally turn towards what your new friends do for a living, and since you’ve already built a rapport, it will feel less like “networking”. LinkedIn – Be sure to check your profile to make certain your profile and settings (particularly security and privacy) are up-to-date and crisp. Then begin the process of expanding your network. I suggest entering the city of your new location in the “search” field of LinkedIn. Scroll through the resulting names of potential contacts and identify people with similar interests, people from potential employers, and people with shared connections. Pay attention to shared connections. If you are looking for a new position, click “Jobs” to search for openings in your new city. Click “Work” then “Groups” and review appropriate groups to review for possible connections. Local Professional Associations and Groups – Google searches can reveal a lot of information about professionals in your area. The local library is also a great resource. Churches, Temples, Mosques, etc. – Many places of worship provide opportunities for like professionals to meet informally. Volunteer – You would be amazed how quickly you could grow your network by volunteering at the local library, hospital, or other public organizations needing help. As you expand your network, perhaps the biggest challenge will be to remember names, so be sure to have note-taking tools with you! Hi Kathy, thank you for sharing your question. Assuming you want to land a job in the area you are new to, here are some suggestions that will help boost your networking. Search Google and local newspaper events calendars for job clubs in your new area. These face-to-face groups specialize in local networking and will help you to quickly build regional connections. Such groups are generally sponsored by area churches or funded by not-for-profits and/or United Way. If you cannot find these groups through an online search, check for an Information & Referral Service in your area. This service is generally funded by United Way and exists to help you find not-for-profit resources. A quick call should prove beneficial. Attend local events sponsored by professional associations relevant to your career field. You can usually attend several before you are required to join a local chapter. Consider joining local chapters of professional, civic, and social organizations to help you meet a variety of folks in multiple industries. Sign up for a library card, go to the local library’s web page, and find a listing of their database/electronic resources. One invaluable resource for job seekers that is free to use is ReferenceUSA, a database of companies in the US and Canada. By conducting one or more searches via ReferenceUSA, you can identify local companies you may wish to target. Note that ReferenceUSA is only available via your library’s subscription and that you may be required to pay a modest fee for printing or downloading data. On LinkedIn, make sure you search for and join as many local, regional, or state groups as you can. Since LinkedIn now allows you to join up to 100 groups, this should be easy to do. This will help you cultivate local connections. Look for geographically relevant groups via the search bar in the upper left. You can also search for people on LinkedIn to connect with in your local area using the same process. Additionally, you can search for potential connections in the local companies you identified via ReferenceUSA. Don’t assume that the offline or online networks you already possess are useless just because you’ve moved to a new area. Take the time to alert everyone you know of your move and request suggestions of people to contact in your new area or people who may know someone in your new area. Once upon a time, job seekers used to complain that they couldn’t network because they didn’t know anyone in their new area. LinkedIn has completely eliminated this concern — you can leverage it to build a local or regional network from scratch within weeks if you stay focused. Conducting the LinkedIn searches mentioned above, make it a goal to identify and invite 25+ people each week to connect with you. Join as many industry-specific LinkedIn groups as you can — the more the better. LinkedIn only allows you to request to join 10 at a time, so you will need to keep checking your status in order to progress toward your goal of joining 100 groups. Make it a point to get to know your new connections face-to-face and/or via LinkedIn. DO NOT make networking requests unless and until you do so. Networking is not a drive-by activity — it requires an investment of time, interest, and energy to get to know people first so they want to help you. Another great roundup! Email me (Jason@JibberJobber.com) if you have questions you’d like me to put in front of my list of career experts! See previous questions/answers here. Networking not worth it? What, then? And, to his defense, someone in the comments points out that the title has the word “overrated,” not useless, or bad, or something else that is final. It’s just not all it’s cracked up to be. I didn’t like how Tim gave examples of ultra-rich, ultra-successful people, for example, getting on Oprah (after all, who needs to network when you can just get on Oprah and then get rich?). Do you know how hard it was to get on Oprah? By the end of his article, though, I got it. And I agree with it (mostly). His main message is that we have to have substance, quality, product, excellence… something more than a brand and a business card and a handshake. Without having (or being) something to talk about, what’s the use of networking? Schmooze all you want, but if you are lame, or have no value to bring to the table, why put yourself in front of others? I agree. And all of the JibberJobber users that I’ve communicated with are expert in something… they might not be The Expert, but they have expertise. Of course, they can refine their skill, but they have something worth talking about. As do you, I’m sure. Tim says to get better, be better, be worth knowing and talking about. And the rest will come to you. That may be the case. But let me remind you of ABC. Salespeople know what ABC is. Business owners know what ABC is. Marketers should know what ABC is. It is Always Be Selling. Never turn it off. I know, it’s annoying, and tiring, and you sound like a broken record player, but if you want to sell (get results), then you need to sell (the action). What are you selling? Yourself. I agree that your product or service (YOU) should sell itself…. but what I’ve learned the hard way is no matter how good your product or service is, you need great marketing and sales. You need to package it (you) well. 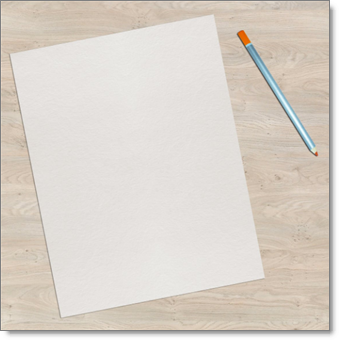 You need to present it (yourself) in a compelling way. You need to put it (you) in front of the right people. Guess where you do that? By networking. With humans. Sometimes this is at networking events. Sometimes it is one-on-one, or with email… but really, you can’t just sit there all awesome and not let anyone know. So yeah, like Tim says, be awesome(r). Comments Off on Networking not worth it? What, then? I’m finally muscling my way through The Tipping Point. It’s an excellent concept but I’ve had a problem getting past the first forty or so pages. Last night, though, I started reading something totally relevant to us on page 53… this is where the “80% of jobs come from networking” quote comes from. Note that the “80%” has been convoluted over the last few decades, but the concept of networking in a job search is important. What I read, and what I share below, is “the rest of the story,” and it’s fascinating. 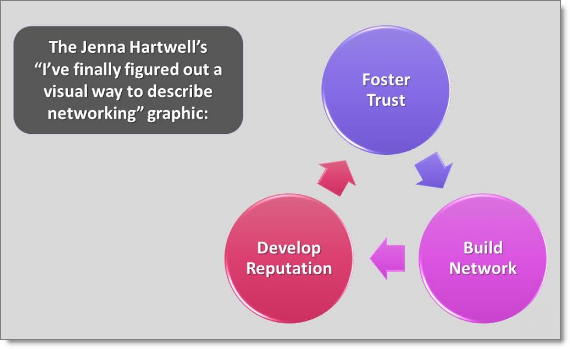 There is a very good example of the way Connectors function in the work of the sociologist Mark Granovetter. In his classic 1974 study Getting a Job, Granovetter looked at several hundred professional and technical workers from the Boston suburb of Newton, interviewing them in some detail on their employment history. He found that 56 percent of those he talked to found their job through personal connection. Another 18.8 percent used formal means – advertisements, headhunters – and roughly 20 percent applied directly. This much is not surprising; the best way to get in the door is through a personal contact. But, curiously, Granovetter found that of those personal connections, the majority were “weak ties.” Of those who used a contact to find a job, only 16.7 percent saw that contact “often” – as they would if the contact were a good friend – and 55.6 percent saw their contact “rarely.” People weren’t getting their jobs through their friends. They were getting them through their acquaintances. I thought I was just going to read a little bit of the history of the “80%” (or, from the book, more like 60%) “of jobs are found through networking.” Now I have a name, and the real stats, and the date of the study. But what blew my mind was the idea that the jobs were found from acquaintences. In JibberJobber we have a ranking system where you can say you have a one star (or two star, up to five star) relationship with your network contact. My thought has always been that you want to nurture and strengthen relationships. Doesn’t that make sense? Meet someone, they start as a one star relationship (that is, the strength of your relationship), and then you get to know them better and they become a two star, then a three, etc. But what Malcom Gladwell writes is that Granovetter discovered that new jobs were found not (as often) from the strong relationships, but from the weak relationships! Why is this? Granovetter argues that it is because when it comes to finding out about new jobs – or, for that matter, new information, or new ideas – “weak ties” are always more important than strong ties. Your friends, after all, occupy the same world that you do. They might work with you, or live near you, and go to the same churches, schools, or parties. How much, then, would they know that you wouldn’t know? You acquaintances, on the other hand, by definition occupy a very different world than you. They are much more likely to know something that you don’t. To capture this apparent paradox, Granovetter coined a marvelous phrase: the strength of the weak ties. Acquaintances, in short, represent a source of social power, and the more acquaintances you have the more powerful you are. Did you realize that the “weak ties” in your network are actually a source of great power? Will you look at your “weak ties” differently now? Gladwell talks about two people who have an enormous amount of weak ties, and the power that they have enjoyed. They are, of course, “connectors.” Being a connector, Gladwell argues, is part of their DNA… it’s who they are. It’s how they think. In Never Eat Alone, Keith Ferrazzi talks about “power connectors,” who are such because of their role in society: lawyers, real estate agents, etc. They meet people all the time because of what they do. I’m excited! I’m encouraged to find more “weak ties!” Before, I had the notion that I have a responsibility to take a “weak tie” relationship and make it a “strong tie” relationship… but Gladwell (and Granovetter) have given me permission to see this differently. Don’t be concerned that the weak tie relationship gives you more work, but realize that getting more weak tie relationships give you more (networking) power! The more you have, the more “worlds” you have access to. Mind blown. Now, go out and network differently than you have before! A few years back someone said “I am not sure I know how to network.” This person wanted guidance on how to greet someone, how to make conversation, what to talk about, etc. Networking is supposedly the way most of us will find a job. But some of us don’t (well) do it because (a) we don’t know how, or (b) we are uncomfortable doing it, or a combination of those. Not to be a Debbie Downer, but when I saw this headline this weekend my first thought wasn’t “congratulations!!! 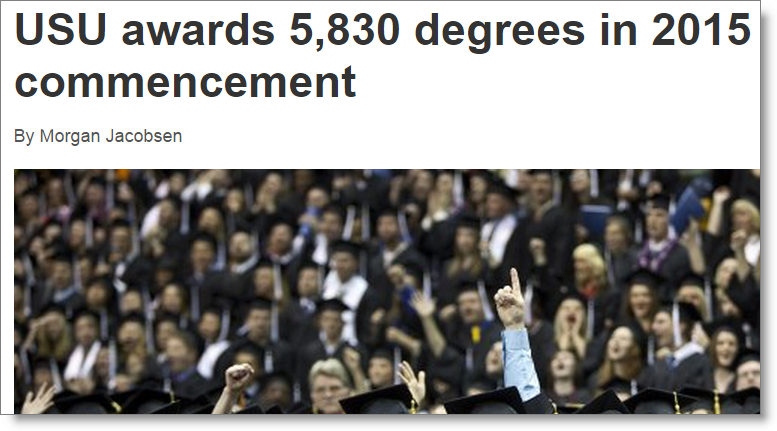 !” If one school graduates almost 6k people in May… how many new grads are getting dumped into our economy? To the almost 6,000 new graduates (from undergrad to PhD)… welcome to the “real world.” This is the real world your professors and adjuncts talked about for years… you see, there was this illusion that you were not in the real world while in school. Here’s the deal: you’ve been in the real world for a long time. And you made a business decision. For many of you, the degree will be instrumental in helping you get your first or next job. For many of you, it will settle in sometime in the next year that the degree was not helpful at all. Looking at the years to pay off your student loans, you’ll wonder if the decision you made was a good one. Yes, going to college was a decision… it was a business decision. The college sold you a package, you paid for it (mostly likely financing it, like a business might). Now is not the time to have buyer’s remorse! So don’t get discouraged that over 2 million people will earn degrees this year (1.8M undergrads alone, according to NACE). Don’t be discouraged that there will many many hundreds of thousands of people who will get laid off, otherwise lose their jobs (companies dissolving), change companies, etc. Don’t become disheartened because many jobs have bounced out of your country to other, cheaper countries (and sometimes bounced back). It’s not that you aren’t more talented or qualified for a career-level job, it’s just that, well, I guess, this is the real world. Here’s something I learned, after having gotten a degree in CIS and an MBA, and having had job titles including manager and general manager: your education is about to begin. Most of the facts and stuff you learned at school can be filed into the trivial pursuit box in your brain. You won’t use much of it. What you will use is the collection of skills that helped you get that degree. Hopefully you worked hard, and pushed yourself beyond what you thought you could achieve. Hopefully you learned about negotiation and persuasion, two key skills when working with others. Did you learn anything about time management, while you juggled classes and work and social responsibilities? Did you learn about leadership, and how to be a follower, and team-player? Did you learn how to communicate effectively, whether that is written, verbal, etc.? I hope you learned how to research, learn new things, find practical applications, and just dig in and study. Those are the skills that you’ll need to tap into now. You see, once you land your job, no one really cares where or what you studied. They want to know what you can do, and if you’ll carry your weight. That’s about it. The other stuff is fun, but trivial. Maybe your degree will matter for a little while, but the romance of it all will wear off. If you are a crappy worker, no one will care (but they will think that your alma mater puts out crappy people – so now you have the burden of not tarnishing the brand of the school that you paid so much money to). If you are an exceptional worker, people won’t care where you went to school, or what your GPA was. I know, there are certain companies and industries that do care. But those companies and industries probably don’t offer much more “job security” than any other company. If you can’t do the job, are distracting, inflict their culture with garbage and pompousness, then you’ll find yourself polishing up your resume. I don’t mean for this to be a discouraging letter. I just want to welcome you to the real world. This is a world where what you can do, and how you communicate your brand, and how you nurture personal and professional relationships, is the new job security. Or as I like to call it, the new career management. And of the 2,000,000+ people who will graduate like you did this year, I guarantee that most will not get it. I’ve seen this for years… they’ll take years, or decades, to figure out personal branding and networking. If you want to have an easier career path, it’s time to transition into taking personal responsibility for your career, and get serious about your future. The great thing about this is, if you start now, you won’t have to get student loans for this next phase of your education. This is a course on what to do with your resume… how to use it to self-market, and basic understanding of the resume as a marketing tool. Remember, for any Jason Alba course you watch on Pluralsight, and as many times as you watch it, you can get an additional 7 days of JibberJobber Premium… no limit! Follow these steps (or scroll down and watch the new video below the image to see exactly how to watch this for free, and get additional Premium on JibberJobber!). Not sure if I’ve had anything on Facebook associated to me with that many likes! “I manage a large territory for my company and I am fairly new here and have a lot of customers. I have probably only met or talked with 20% of them which are the ones that purchase regularly. The other 80% have purchased in the past and it is very possible they could purchase more or have upcoming projects but they don’t know me or forgot about our company. Should I send an email blast introducing myself? This is different than a marketing blast, rather, it is a way for me to reach out to a lot of people but it takes away the personal touch. Do I do that or take the time to address each one in a separate email with a generic this is who I am and what my company offers and contact me if you have questions, need help, etc. My initial response was, YES, definitely do this. I’ve been marketing myself, as a job seeker, and then my business, for 9+ years. What I’ve learned is that if you do not put yourself in front of people, they forget about you. You are responsible for getting and staying in front of your audience. Is this going to be okay with your company/boss? I can’t imagine a sales professional getting into trouble for sending this type of email, but you might want to check with your boss. They might know something about a customer they fired (that you shouldn’t get in touch with), or they might point you to some tools or queries to make what you want to do easier. Should it be one bulk email (BCC, of course!) or multiple individual emails? Pros and cons of both. I would say it depends on a few things… where are you sending it from? If you send from a Gmail or Verizon or a personal account (which I wouldn’t recommend), they have daily sending limits. Going over those limits might get you in trouble (ie, getting locked out of sending email for 24 hours). If you bulk send from your work account, and your email server is on blacklists, count on maybe 5% of your emails getting through (I don’t know the percentage, but just assume hardly any get through). The idea of doing one bulk email is nice because it’s faster, but I’m not convinced it’s that reliable. Sending individual emails is more reliable, I think, and you might do 20 – 50 each day. This will even help you manage the responses, over days, instead of all in the first day or two. But it will obviously take more time. The real question is how many emails are you sending? If it’s 10,000, do bulk and go from there. If it’s just a few hundred, send a few dozen each day until you finish. What information should the email have? The number one purpose of this email is to introduce yourself. In doing that, you’ll reinforce the branding of your company (in other words, remind the customer that your company exists and has stuff for them). You should give them contact information… work and cell # (that’s how salespeople roll, right?). Keep the email short… don’t go into new products, etc. I would let them know I’m the new rep, I’m excited to be there, and I’m easy to reach (and I’m responsive). I want them to know that I’m their partner and want to help their projects be successful. I will include a one-liner about my company, like “we manufacture the best widgets for the _______.” so people can remember where I fit into their life. And, as overwhelming as this might sound, I invite them to call me in the next week (or two) and tell me what projects they are working on, what they have coming up, any issues from past projects with our stuff, etc. I want this email to start the relationship, and invite them to let us take it to the next level. That might be a emails, it might be a phone call, it might be a face-to-face… but let me introduce you to me and let’s start a relationship. How often should I follow-up? What should the follow-up have? Make sure this first email is not the last email. As a customer I know I need multiple communications before I trust you, and I need you to hit me at or around the right time (or, when I’m in the market to buy your stuff). I suggest doing a blast, en bulk, each month. This can be short, it can talk about new products, or it can talk about case studies where your products/services helped other customers. The last thing would be the most interesting read for me. It keeps me engaged (because it’s fun to read), and shows me that you understand that my success is important to me, and it’s also important to you. I’m not just a customer to help you meet your quota, but you really care. The key? MONTHLY. How do I justify future follow-ups? What if I have nothing new to say or report? Then create something. Talk to your customers and ask them if they could share some of their wins with your list. If you don’t get those stories, then create information that will help others… suggestions, tips, best practices, industry news, etc. Don’t write too much – we all suffer from information overload, and you don’t want to be that email that I’m sure to delete. Is that it? Will I be successful with this strategy? I don’t think so. I think you need to have an integrated sales/marketing approach… that is, pick up the phone. Meet customers in person. Don’t just rely on email. But you already knew that. Now, get your email constructed, proof it for type-os and grammar, and make sure the messaging is exactly what your customers should understand, and then send it. 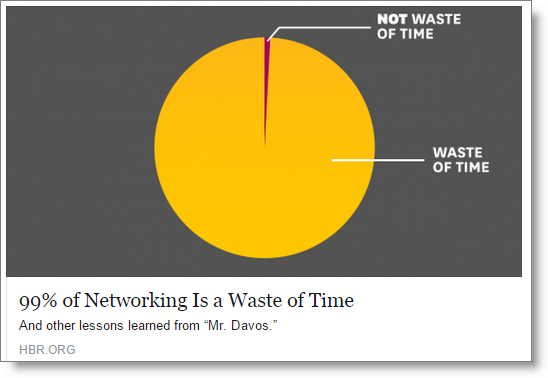 I thought this was interesting because for me, 99% of my networking was indeed a waste of time. I was doing it wrong. I had a sour attitude. I’m sure I repelled people. It felt like a waste of time. At that time in my life, it was indeed a waste of time. I needed to fix myself, and my thinking, and my attitude. I needed to learn how to network, and figure out what I was doing wrong. Comments Off on Is Networking a Waste of Time?